Life is a Sacred and Conscious Adventure . . .
Let Me Help You Create Yours! Are you overwhelmed and exhausted from running on the hamster wheel of life? Do you long for the dreams you had before you stopped dreaming? Have you ever known what it’s like to have a champion who loves and challenges you? like to know full empowerment with a community of evolving women? Every moment brings us the opportunity to decide which way to go. Our lives are formed by these moment to moment choices. Contact Victoria for a Complimentary Discovery Session! 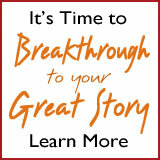 Experience what can happen for you with supportive and direct guidance. True Life Coaching is offering pathways to your dreams . . . Which choice will you make in this moment? It’s inspiring… and it’s Free! I’ve created this series to support your Journey – to more Confidence, Clarity and Inner Knowing about your Life, to give you my best Tools to become your Inner Authority! Just enter your info below and get instant access to the 3-part Series. Copyright © 2018 Victoria FittsMilgrim, The Heroine's Journey™. All Rights Reserved.